We are located on the west side of Corfu Island, on the beautiful beach of Agios Gordios, a small village that can satisfy all the desires of every visitor. 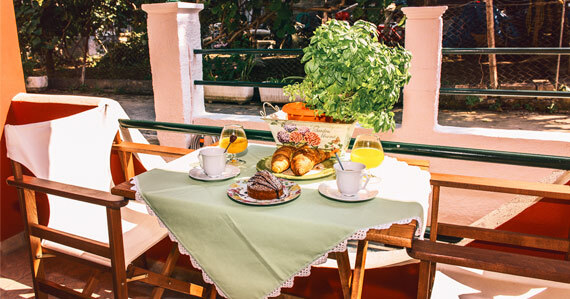 Just 200 meters from the beach and 50 meters from the green bus stop to Corfu. The distance from Corfu Town where the airport and the port is located is 14 km. We have three types of studios. With 2 single beds, a double bed and a double bed plus a sofa bed. All the rooms have balconies that overlook our beautiful small garden.